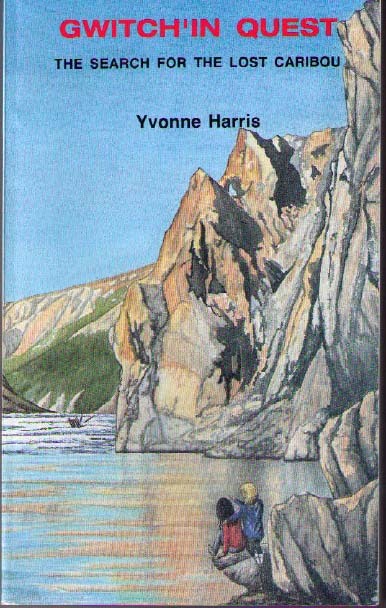 Yvonne Harris lived in northern Canada for most of her life. She went to school in Whitehorse, Yukon and later worked as a regional planner in the north before moving to Pangnirtung on Baffin Island where she researched the history and culture of the Inuit as background for her latest novel. During her two years in Nunavut she taught in the local college, organized youth sports and along with her husband, Paul, hiked, skied and kayaked. She is a marathon canoeist who has competed seven times in the longest canoe race in the world, an event in which she and her partner held the women's record. She also has a gold medal in canoeing from the World Masters games. Yvonne currently lives in Port Moody, British Columbia where she continues to research and write historical fiction. Yvonne has a master's degree in Regional and Urban Planning from the University of British Columbia and is the author of several children's books, as well as a hiking guide to Hawaii and a white water canoeing book. 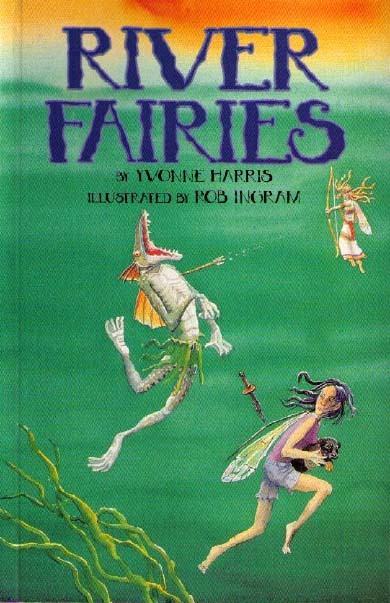 Books by Yvonne Harris are available from www.LonePinePublishing.com. In this sweeping saga, Yvonne Harris tells the poignant story of Robert and Alice, two young people who join the 1846 wagon train to cross North America on their way to the West Coast. Seeking a better life, thirteen-year-old Robert leaves his impoverished family in Iowa and accompanies the main group as it follows the well-established Oregon Trail. Alice, a lovely young widow, is forced to follow a husband she despises, even when he insists on taking the Hastings Cutoff and forego the longer, safer route for a virtually unknown trail touted as a short cut to California. Alice’s hasty decisions dramatically alter the course of their lives, instead of reaching the green fields of California, the party is trapped on the wrong side of the Sierra Nevada, facing starvation. Both eventually make their way to Victoria, Canada, and the Fraser River gold rush. They encounter the American Militia intent on destrying the Tribes, and Chief Spitlum, who chooses a fractured peace over war. The story is based on the historical accounts of the settlers travelling on the Oregon Trail, the tragic account of the Donner Party and the search for gold on the Fraser River. Based on a true story, Ashoona, Daughter of the Winds, recounts an epic struggle for survival in Canada's Eastern Arctic. This historical fiction is set in the remote Inuit village of Panniqtuuq on Baffin Island, and recounts a time of transformation when the old ways were confronted by powerful influences arriving from the outside. An Inuit elder came to Nunavut College where Yvonne taught and told a story of being forced to marry a much older man when she was only twelve years old. The elder's incredible tale inspired the central story of Ashoona, Daughter of the Winds. Over six years, the author researched Inuit oral and written history, including original journals of the early explorers, fur traders and anthropologists. This extensive research ensured the novel would be an accurate depiction of the Inuit people. Ashoona was published with Canada Council support by Eschia Press, an aboriginal publishing firm from Edmonton. Phoebe Sowdluapik, an Inuit friend from Pangnirtung, assisted the author with the Inuktitut translations and current cultural practices. Yvonne Harris writes children's fiction for seven to thirteen year-olds. Her stories are set on the beautiful rivers of the Yukon and her characters are strong and competent youngsters. The stories are filled with adventure and danger as the young Yukon protagonists fight to protect themselves and their friends, sometimes from the harsh northern weather, at times from frightful beasts, and sometimes from the disreputable characters who come north to plunder. Books by Yvonne Harris are available from Lone Pine Publishing, Edmonton. Nine-year-old Jaclyn meets the river fairies when her puppy, Pancake, gets lost during a family canoe trip. 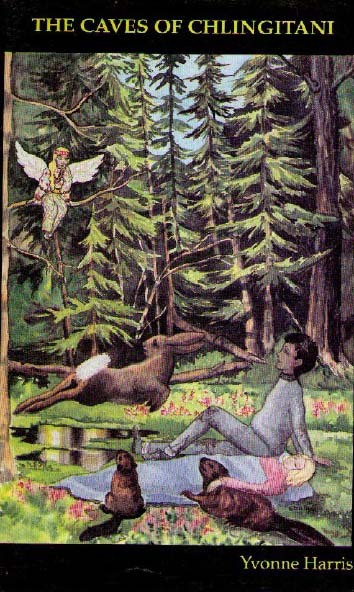 The puppy becomes entangled in the lives of the two fairies, Tinka and Floxy. The river fairies defend their lives and their underwater home from the frightening Zeekos who are determined to take power over the river and capture the fairies. What the evil Zeekos do not expect, is the strength and fighting skills of the two young fairies. Join Julianna as she is pulled back in time to the era of the great Klondike Gold Rush of 1898. On a rafting trip on the perilous Alsek River, Julianna meets with disaster! A dangerous run through turnback Canyon results in an accident that robs the teenager of her memory. 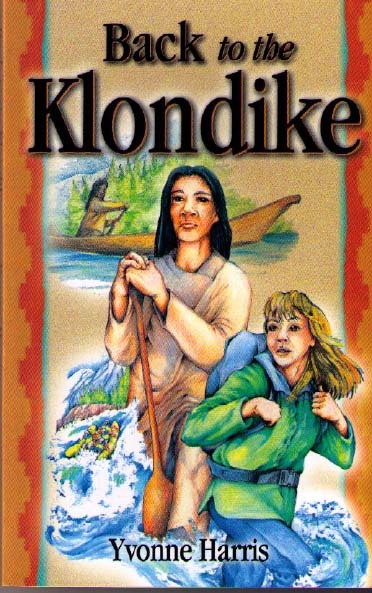 She finds herself back in time 100 years, traveling with a Tlingit friend who helps her search for her identity. Together they travel to Dawson City where they try to rescue a young, beautiful Trondek princess from her hateful captor. Juje and Marie are given the task of finding the lost caribou herd that failed to return to North Forks. This fictional Gwitch'in village is located in northern Yukon; its small population of First Nation people has lived there for centuries, each year hunting the Porcupine caribou herd that migrates through the village. When the herd fails to appear, the village is threatened. To find the lost herd, Juje and Marie make their way across the barens of Canada's north and down a dangerous white water river that flows into the Beaufort Sea. Along the river, they meet up with Momma Anna and her caribou calf, Cali. There is a split in the friendship between the girls when they encounter the devious yet intriguing, Raven Boy. Follow the adventures of Juje and Graham as they paddle the Nisutlin River in the Yukon and meet up with the animals whose home is threatened by greedy, thoughtless miners. Juje, a non-native girl from Whitehorse, and Graham, a Tlingit boy, travel together across dangerous terrain to rescue the fairy, Skyla, from the pre-historic flying beasts and eventually confront the people set to destroy the home of the beavers, rabbits and moose. 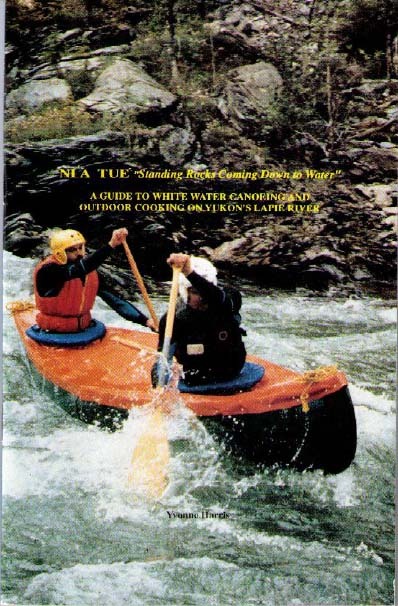 Cover photo of Gordon Duncan and Pete Jensen (author Yvonne Harris's fellow paddlers) negotiating the first canyon on the Lapie River. A Guide to White Water Canoeing and Outdoor Cooking on Yukon's Lapie River. The book describes the ecology and First Nation history of the Lapie River region and guides canoeists and kayakers to this little known but spectacular white water river. This publication includes detailed information on the put-in and take-out spots for this action packed river trip. The author, who canoed the Lapie many times, provides tips on negotiating the turbulent canyons and rock gardens. As well, there is a section on dutch oven cooking written with the assistance of the well-known Yukon baker, Swat Tuzlak. The book was published in 1992 when the river was threatened by a hydro project. Today Yukon's Lapie River runs free. This is a handy trail guide for Oahu, the most populated of the Hawaiian Islands. 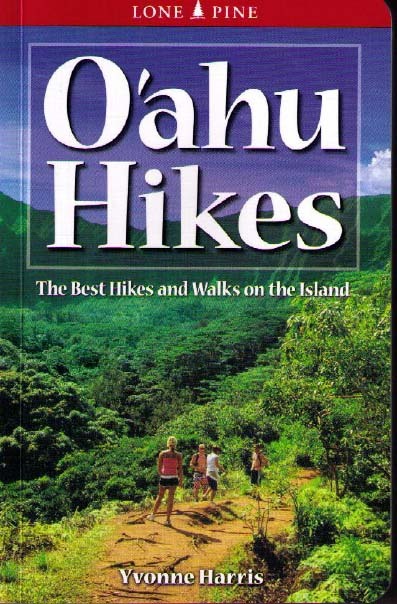 It describes hikes and walks ranging in difficulty from easy beach strolls to strenuous mountain hikes that cross streams and high ridges. Suitable for all ages, the hikes take in some of the most gorgeous vistas on this Hawaiian island. There are detailed maps showing the driving routes to the trailheads and easy-to-use trail directions, including GPS points for the more remote hikes. The guide includes natural history, geography, geology and local history, along with information on weather, climate and hazards. Thoughtful observations of Canada's First Nation people through the eyes of Catholic Oblate priest, Father Jean-Marie Mouchet. His book exams the problems faced by First Nation children thrown into European based civilization and cut off from nature and their culture. Father Mouchet's theory is that proper nutrition, discipline and outdoor exercise allows these children to reconnect with their positive roots. This extensive work includes historical photos spanning 60 years of Father Mouchet's work. In 2009, at age 92, Father Mouchet still cross-country skis several times a week and continues his work with First Nation communities. Yvonne Harris worked as a volunteer with Father Mouchet in the preparation of this = book. 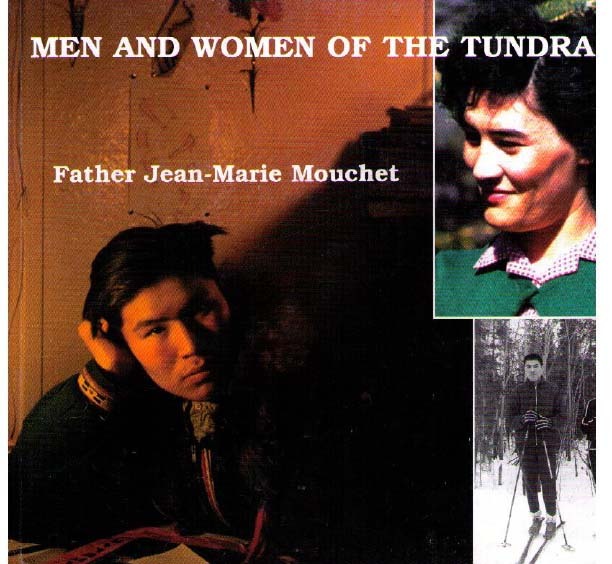 Men and Women of the Tundra is out of print but available from the Whitehorse Public Library and the National Library.